Other World Mapper has custom tools for each type of map item making the tools intuitive. It also allows for specialized options for the item type and specialized presets. When making world maps this tool can be use to create continents. Any map items drawn or pasted on the landmass will be children of the landmass and move with it. Region tool allows the creation of geographical regions on top of the landmass. For instance, it can be used to define grasslands or a desert. The water tool can be used to define lakes or inland seas. This tools allows the representation of boundaries in different styles. 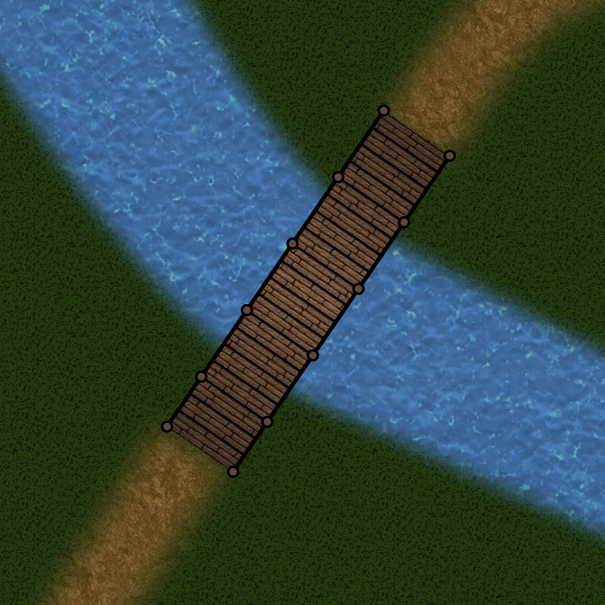 The river tool can be used to draw cartographic representation of rivers in differnt styles. It allows for branches of different widths. This tool is used for cartographic representation of roads and has many options to support fantasy as well as modern road representations. Like the river tool it allows for branches of different widths. 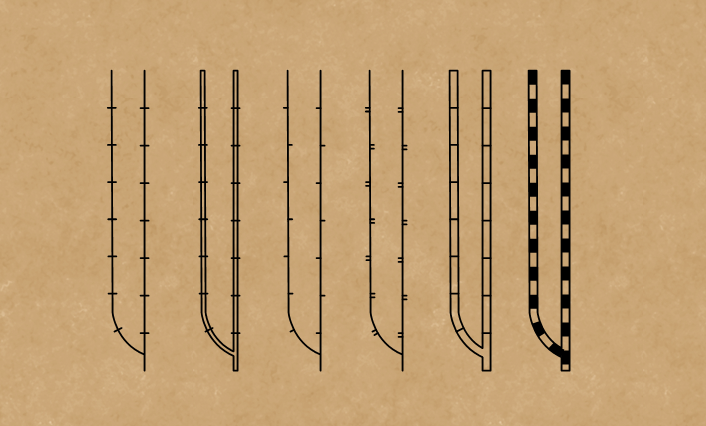 This tool is used for various cartographic representation of railroads. Used to represent sea routes or caravans in overland maps. Other World Mapper also alows selection and auto Z-order re arrangment of a group of existing features. Other World Mapper supports "hold and drag" placement of features for placing multiple features. This includes options for spacing, so that features space each other or overlap automatically, and pattern type: tile, brick and scatter. 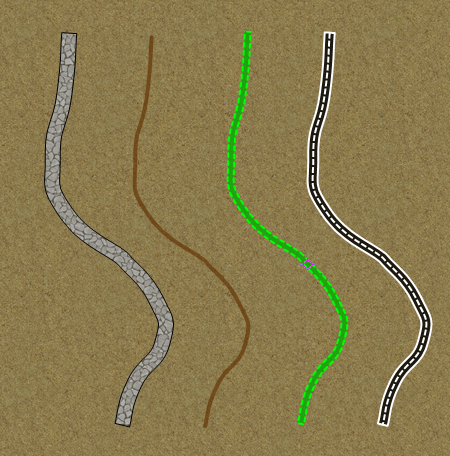 Features can also be added as a part of a linear path. This allows a group of features to be created as a single map object, yet it gives the option to edit the location of individual features by moving, adding or deleting path points. Other World Mapper allows creation of regions (linear or curved) that are automatically filled with symbols. We included multiple options such as spacing and the fill type. Right now we allow tile and brick but everything is in place to add other patterns later. And, of course, the shapes can be edited with our path tools. Label/text allows placement on text the map. Labels can use any True Type font installed. Labels allow for in-place text editing. Color and outline color can be customized, as well as style, alignment and rotation angle. 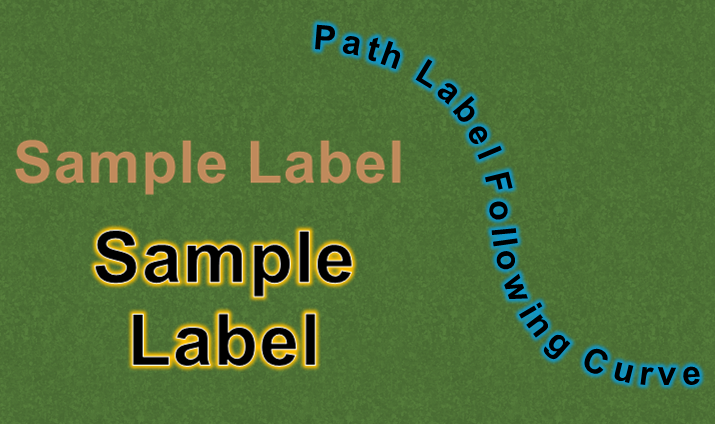 Labels can be created as countour/path labels following existing items or as a brand new path. For instance, this could be used to add the label for the name of a river at a custom location, following the contour of the river. Of course, you can use the tool to simply create curved text. 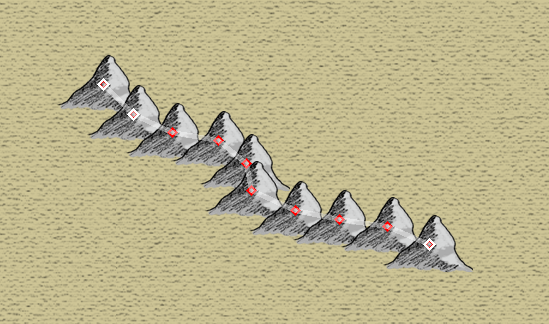 The partition tools allows partitioning of a path-based map item (i.e. landmass, bodies of water, etc) by drawing across it. 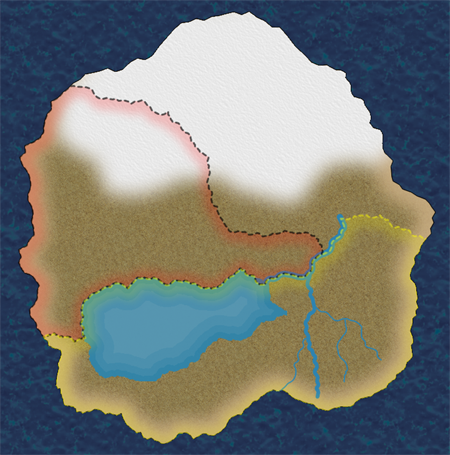 This can be useful when first starting a world map, to create different continents for a continental drift effect. 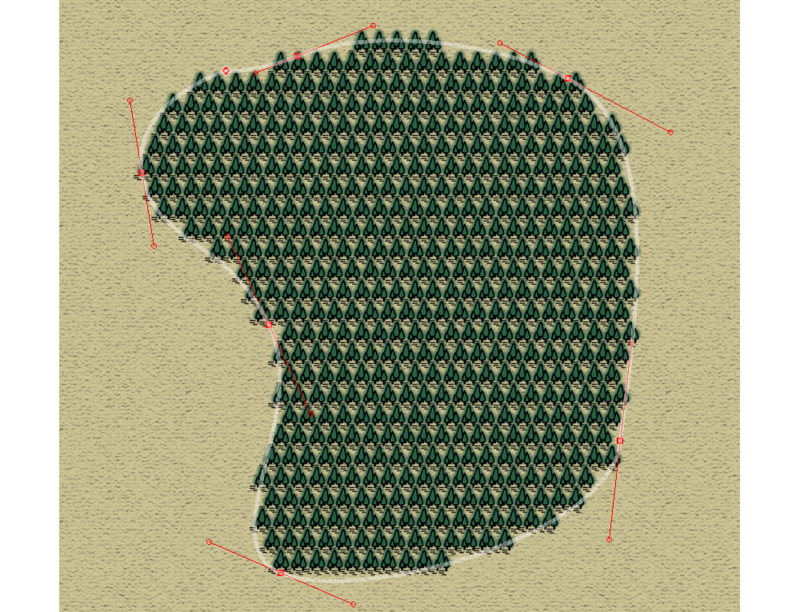 It's also useful to break away peninsulas into islands and to edit complex shapes for map objects. Thea measure tool can be used with straight segments or be made to follow existing items. For instance, this allows measuring the length of a road or river segment. Used to create complex closed areas (room in dungeon or perimeter of building). You can create them using new shape tools. The floor and walls can be configured to different textures, colors, widths, inner and outer shadows, etc. 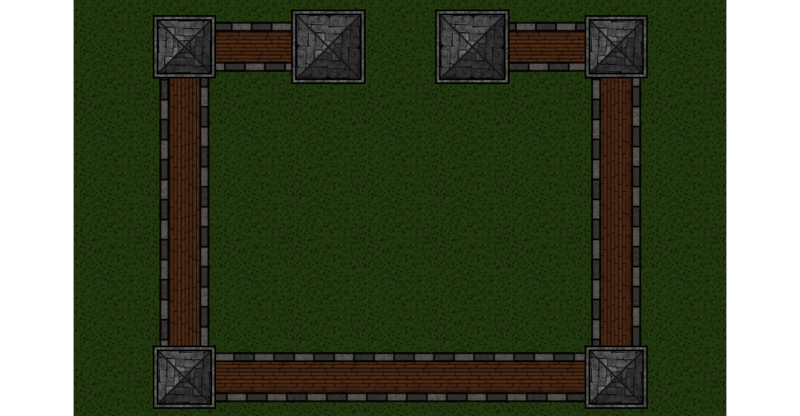 Note how the wall texture follows the path of the wall (it's not a flood fill). Used to create corridors and branching corridors . It has the same options as the closed area tool so that they can be made to match with rooms. Cave tool is similar to the landmass tool, but with specialized options and presets that work with other dungeon tools. Used to create wall separations within closed areas and corridors. As the walls for the rooms and corridors, textures follow the path. Used to create wells and pools. This is a simple shape tool that can be combined with textures to create items such as structural pillars, daises, as well as room items such as tables, rugs, etc. Stairs tool generates stairs in different styles. Lets you choose step amounts, widths, background color, and allows landings. Doors and window items that can be applied to the walls of rooms and corridors, and follow the shape of their walls. Zones are similar to the overland map's regions, but their presets are customized to match dungeon themes and they are optimized to work with the dungeon tools. Streams and Paths are the dungeon/battlemap equivalents of Rivers and Roads, with presets to match the dungeon themes and options for the larger scale of this type of maps. Buildings can be created with multiple shapes and with different styles of roofs, as well as many other options such as fill and texture. We plan to add more options, roof styles and shapes as we continue adding functionality to Other World Mapper. City Walls. Towers can be placed along the path of City Walls. Used to draw large bridges and docks.